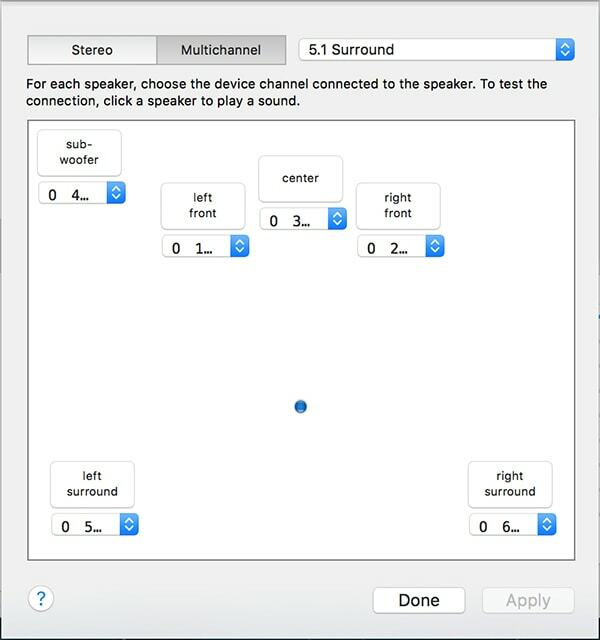 If you are watching a movie in surround on your Mac using the Nx app for 3D audio on headphones, but the sound seems to come only from the front, follow these instructions. Go to Applications > Utilities > Audio MIDI Setup. The Audio Devices window will open. 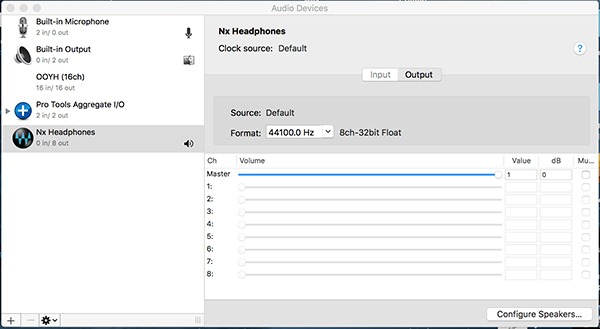 In the left-hand column, choose the Nx Headphones output, then click on the Configure Speakers button in the lower right corner. The window shown below will open. At the top of that window (drop-down menu on the right-hand side), choose the configuration you want to use with Nx: 5.1 Surround, 6.1 Surround, 7.1 Surround or 7.1 Rear Surround. 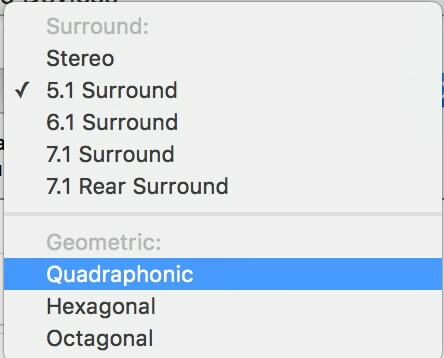 You can also choose between different geometric settings for your speaker layout: quadraphonic, hexagonal or octagonal.